BALTIMORE – Hallowed tennis coach Richard Williams sat quietly as videos showing Venus and Serena Williams’ dominance in doubles played during the American Tennis Association’s (ATA) Hall of Fame induction Wednesday night. As he watched the highlights of his daughters, who did not attend the ceremony, Williams pulled out his thick-framed glasses and cracked a smile two or three times. The 100 people in the Lord Baltimore Hotel ballroom oohed and aahed, while Williams looked like he was prepared to go back to his daughters and let them know the things they could improve on. Williams dressed for his induction in a pair of dad jeans, black Nike low-rise sneakers, and a shirt with his face on the front and his 10 commandments as a coach on the back. Truly iconic. Also comfortable. 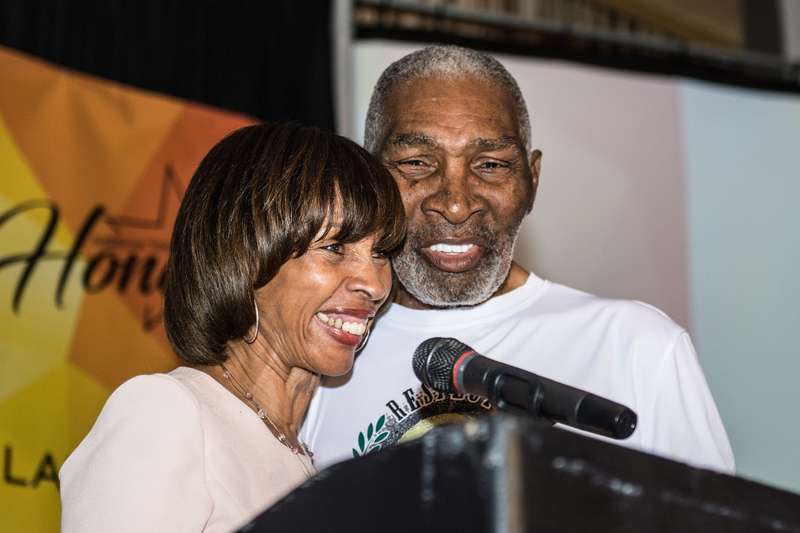 Baltimore Mayor Catherine Pugh (left) honors Richard Williams (right) ahead of his induction into the American Tennis Association Hall of Fame. When it was Williams’ turn to talk, he barely spoke above a whisper. “Thank you all for this honor,” Williams said. Someone in the crowd proclaimed, “We love you,” to a round of cheers. Baltimore Mayor Catherine Pugh awarded Williams a medal from the city. The 75-year-old’s resume as a coach speaks for itself. His daughters have combined for 30 Grand Slam women’s singles titles (Serena Williams’ historic 23 in the Open era and Venus Williams’ seven), 14 Grand Slam women’s doubles championships, two Olympic gold medals in singles and three Olympic gold medals in doubles. Williams, who spent the day going around Baltimore to check out junior players, declined to comment after the ceremony. But he posed for pictures with anyone who approached him. The praise continued with a video from 1986 ATA mixed doubles champion and U.S. Tennis Association president Katrina Adams, who apologized for being unable to make the ATA national championships’ 100th anniversary. The Super Bowl Gospel Choir performed and Los Angeles native Kayla Brown sang a song she wrote that was inspired by the Williams sisters. 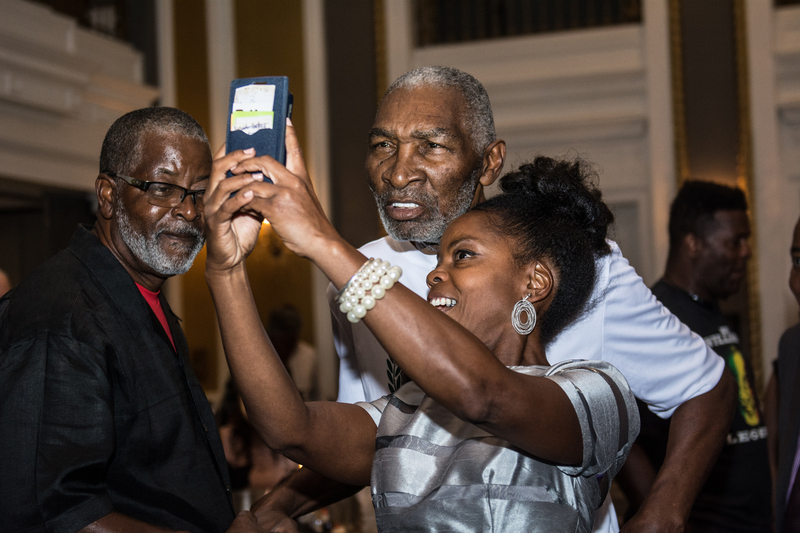 Aileen Chase takes a selfie with legendary tennis coach Richard Williams, father of Venus and Serena Williams. 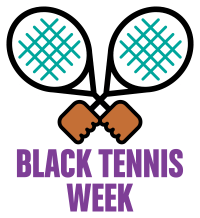 Last week, Venus Williams discussed her father’s induction into the Black Tennis Hall of Fame and his impending induction into the ATA hall. “It goes without saying what my dad has done for Serena and I, and changing the game of tennis, and for what he’s done for the sport, too. I’m forever grateful. I’m so excited for his honor,” Venus Williams told The Philadelphia Tribune’s Donald Hunt. The ATA, the oldest black professional organization in sports, announced in May that it would name the stadium court at its proposed new headquarters in Fort Lauderdale, Florida, after Williams. Tennis.life reported his daughters have pledged $1 million to the project.